Kojima Productions is working on its very own game engine that'll be used first by an unannounced Hideo Kojima project. Hideo Kojima has sadly confirmed that E3 2011 will come and go without any word on his upcoming mystery project (with Metal Gear Rising also taking a pass). On the bright side, Kojima has given us a taste of what's to come, revealing Kojima Productions' new Fox Engine that will be used for Kojima's next game. 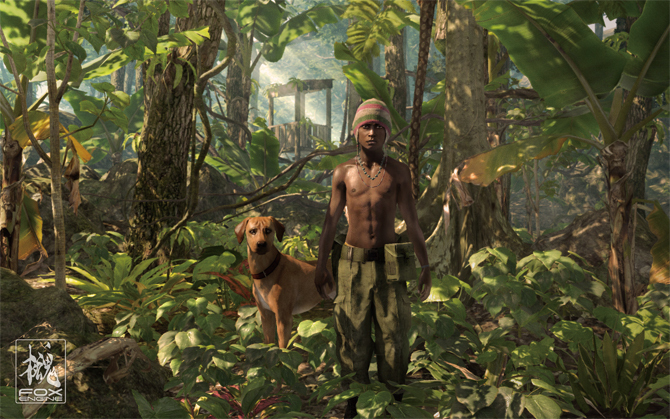 Konami's pre-E3 2011 press show featured a Kojima interview with a lush forest on a screen in the background. Eventually, Kojima revealed that this was a demo of the Fox Engine, an in-house, original engine in the works at Kojima Productions. With the Fox Engine, Kojima says that he's looking to switch from developing for specific platforms to more of a global focus. The Fox Engine will be multi-platform, and Kojima wants it to be "the best in the world." 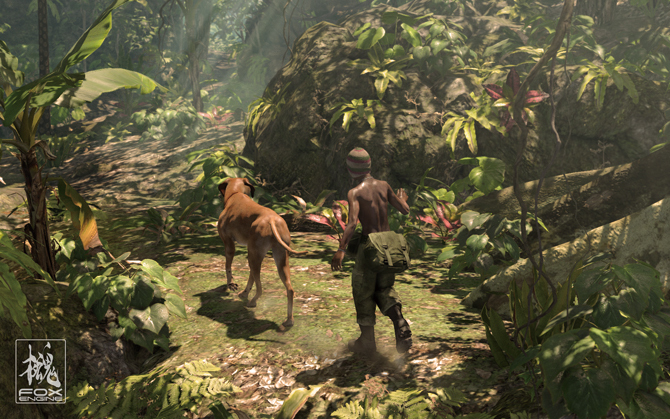 Work started on the Fox Engine right after the completion of Metal Gear Solid 4 in mid-2008. Kojima shows off the Fox Engine by demonstrating a "game" that he says isn't necessarily part of his next project, but rather a demo so that designers can place items and practice with the engine's toolset. 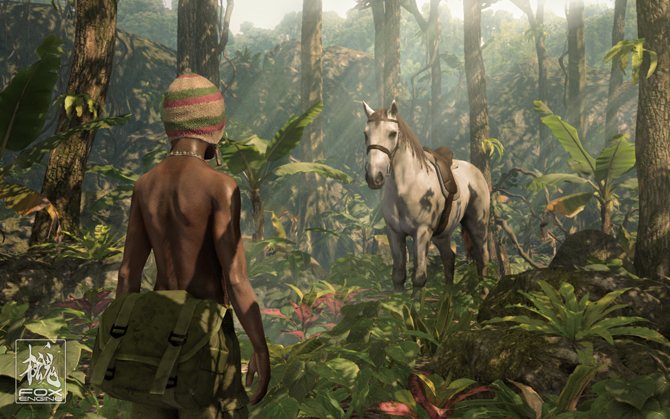 It shows a jungle native wandering around an extremely detailed tropical forest environment, along with a horse and dog. Kojima confirmed that his next game will use the Fox Engine, but he didn't say when we'll learn more about what kind of title he's working on. However, he did reveal that the game will be multi-platform, and that it'll be "transfarring" enabled, meaning it'll support PS3 to NGP game save transfer. The Fox Engine's demo is very Metal Gear Solid 3, and Kojima is the master of Metal Gear no matter how many times he says he's quitting the series, so this could be a clue that Snake will return to the jungle in Metal Gear Solid 5. Whatever the case, Kojima Productions is definitely upping its game with the Fox Engine.